A midweight vest for gym workouts or lunchtime runs, the Momentum Hooded Vest is the go-to sweat top for across the seasons. 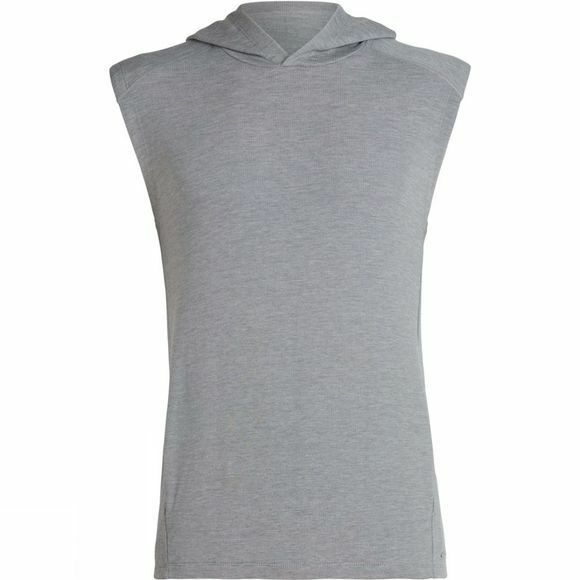 Made from Cool-Lite fabric, it features soft merino wool blended with natural Tencel to keep you cool when the temperature rises, with a touch of Lycra for dynamic stretch. The fibers are corespun around nylon for added strength and durability. A versatile vest top with a loose-fitting hood, it’s great on its own, or for layering up and down when the weather can’t make up its mind. The forward-set shoulder seams are comfortable and prevent chafing if you’re carrying a pack and the roomy kangaroo pocket can fit both hands. The dropped front and back hem offers extra coverage when you’re moving about during a workout.